For today’s post we’re heading back in time a little bit, to when we wrapped the roof on Dave’s Integra. 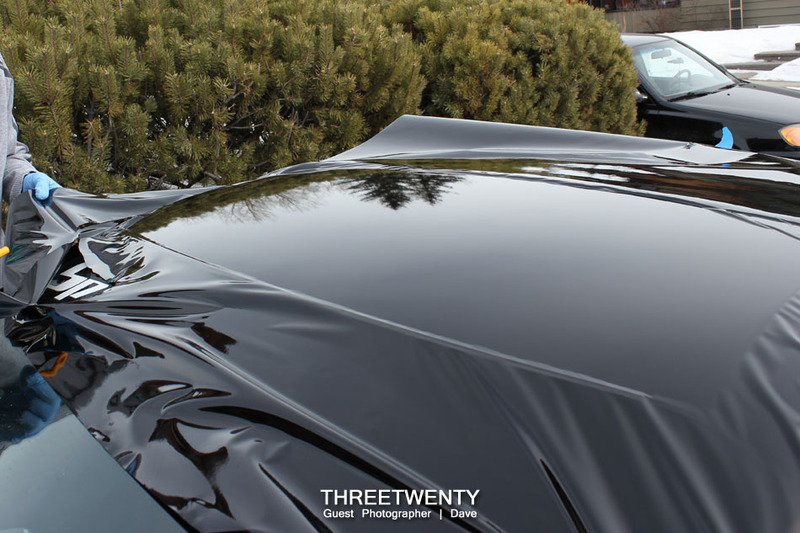 He wanted a gloss black roof so with some vinyl in hand and no experience taking on the wrapping of a panel, we went ahead and tried it. Some of these photos, as you’ll notice, were taken by Dave. He had his camera handy to capture some while I was busy, so thanks to him for that! Otherwise, it would have been solely finished pictures with nothing taken during the wrapping. So, first up of course was to clean the roof – prep is everything! Fortunately for us Dave’s Integra has no sunroof so the whole process was made much easier. The panel itself is relatively plain with a moderate curve and only one small antenna at the back to worry about. I’d say it was a suitable panel for a first attempt. 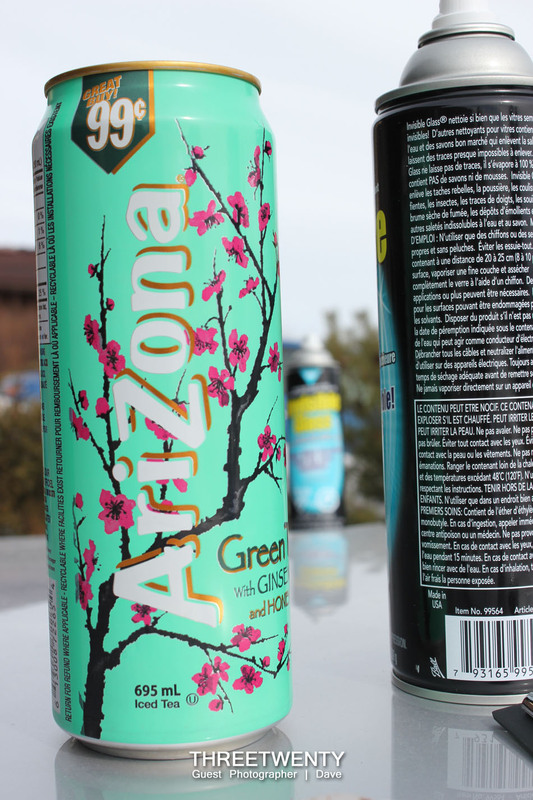 With supplies in hand we got the vinyl ready and set to work…not without Arizona of course. It was decently warm when we started which was a nice change. We began with the front half of the roof and before long we were trimming the excess and tucking the edges. The side rails were removed but the molding around the windshield was left in place. I don’t enjoy messing with that stuff (I’ve never had good luck getting it back in place properly) so we left it. It didn’t pose a problem though as we could still easily get the vinyl underneath it. The temperature began to drop by the time we started on the back half; it became a bit more challenging to get the vinyl to lay down flat but soon we could stand back and admire the finished product. It didn’t stop there though; Stan was by to paint some wheels for his car…. 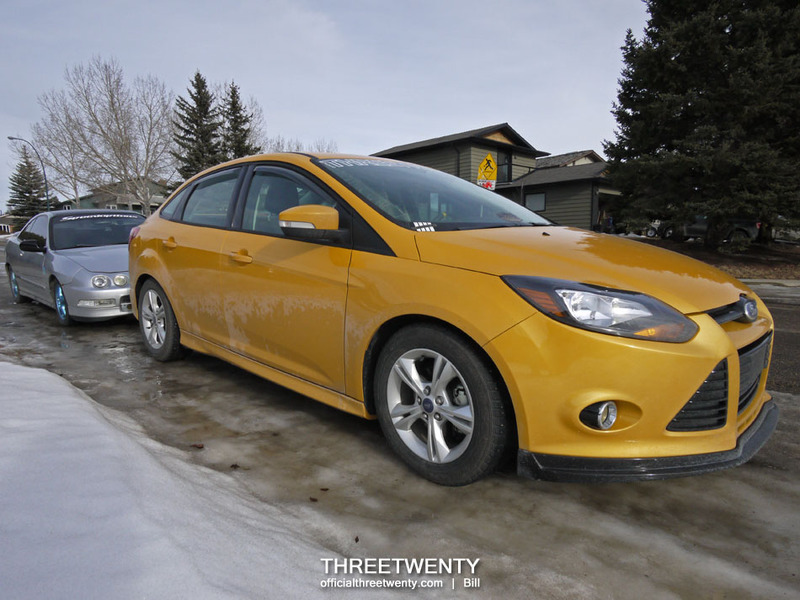 …and Dave polished his headlights. Productive afternoon! We had been itching for a project day and we finally had one. Overall it was a pretty good attempt I’d say. Dave was pleased with it and it really changed the look of the car. If you notice the mirrors are shiny, it’s because they were quickly wrapped too. Vinyl is addictive! Now that this post has been added, next up will be the air install on Mario’s ST. It was a 3-day process with a very steep learning curve, but the outcome was definitely worth it.